There are several things I like to do when creating a new design project. There are several advantages to taking a few minutes to think through the project and lay a good foundation for the task ahead of you. Think about size and design accordingly. This might sound obvious but this is one of the biggest challenges we see on a daily basis. Many times, we receive files that are a different size then what we were asked to quote. A 1/8″ can have a large impact on a layout, material usage and press time so we have to pause each time we have a size discrepancy and discuss with our customer. Also, it is good practice to work with your printer and have them help decide how to most effectively use material. For example, you may be able to make a piece considerably larger rather than waste material. Or, sometimes, it may be much more efficient to reduce a piece by a fraction of an inch and get more up on a sheet saving material and press time. Think about your color usage. It’s easy to convert spot colors to CMYK or convert RGB to CMYK. It’s literally a click of a button. However, the results of the conversion can be dramatically different then the designers intent. A bright orange spot color will turn muddy orange in a CMYK conversion for example. RGB has a much larger gamut than CMYK and it is very common to lose some of those vibrant outlying colors in a conversion. These results are really something that we want our customers to experience before submitting files. If possible, please convert all submitted files to CMYK before submission. 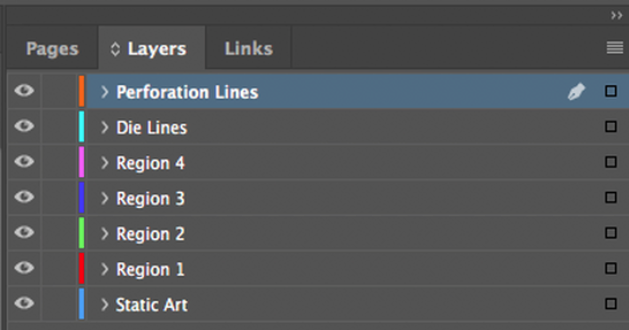 Layers and master page items are your best friend. Here again, this may sound obvious, but effective use of layers and master pages are a huge asset, especially if you are working on a versioned piece. 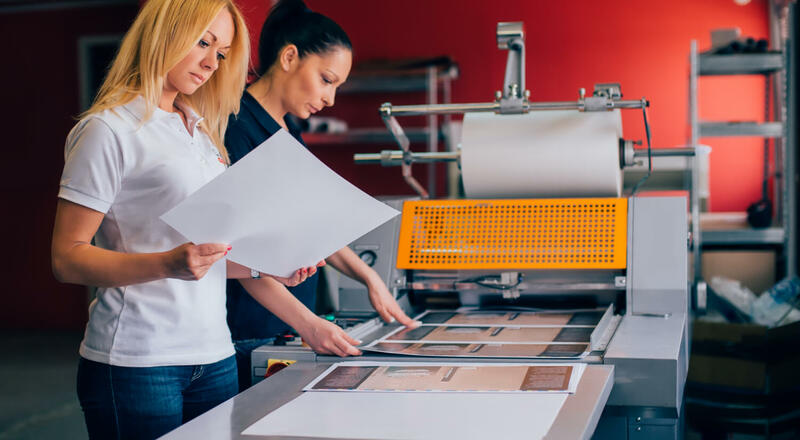 If you have simple pricing changes for regions or code changes on your direct mail, managing each change via it’s own layer or master page items will ensure nothing else shifts and that we can minimize plate changes on press when quoting, and in production. Obviously layers are useful for many other things too but they are often underused for version changes. Pre-planning for asset collection is still a big opportunity for organization. I know that most applications allow for “packaging” of files and plugins are available to help with this, but I find it more useful and reliable to have a plan and collect assets myself. One of the advantages is it allows me to alter images and art without compromising the originals or shared assets. If I make a copy and want to crop, color correct for effect or mask, I can do so without worrying about changing the original. Layout lines, bleeds and mechanical lines need to be accounted for. If you are familiar with Adobe InDesign then you have probably seen the section in the document setup where you can establish the bleed settings and the margins. These sections can be incredibly useful and can save a lot of frustration later on. By building in bleed you are allowing for any imperfections during the finishing processes and allowing for a margin of error. The same is true for margins, or the clear space around the edges of a document. If there are any mechanical imperfections during binding or trimming, and there will be, then clear space or margins can really save a piece from having type cut into or fall into the gutter of a bound book. Mechanical lines should be used when identifying die cutting, scoring or perforations on a piece. I highly recommend building them in a spot color and placing them on their own layer. You want to be able to communicate the location, but you don’t want them to print or have your printer fight with removing them later. If they are created from a spot color, most RIPs can remove then on the fly. These are some of things I like to do when setting myself up for a productive, efficient design session. The less I have to worry about the steps above, the more I can focus on the task at hand. I hope this helps you in your future projects.